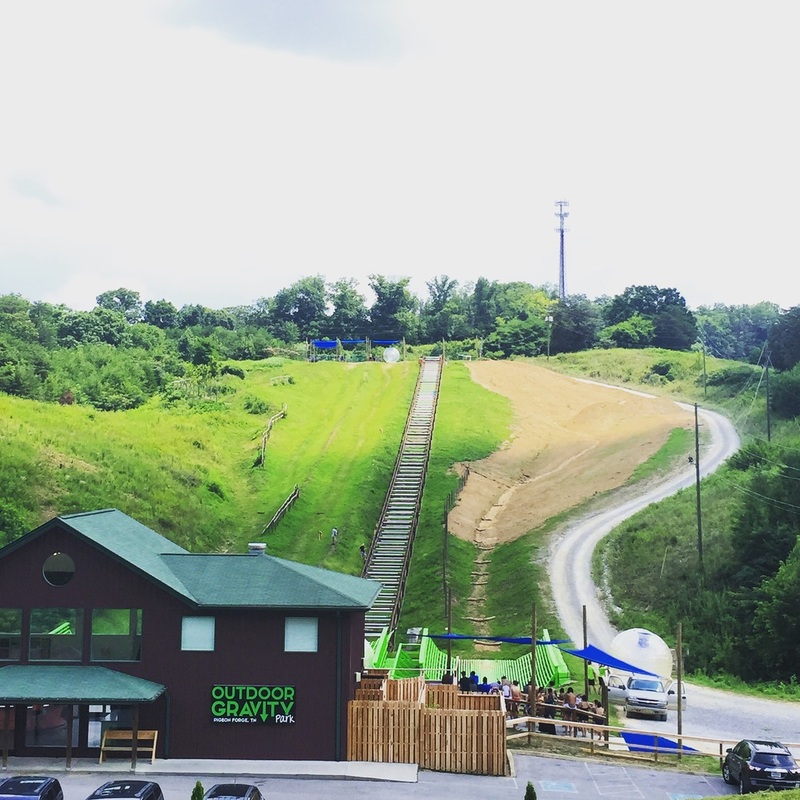 In our last post, we broke down a detailed itinerary of our weekend trip to Pigeon Forge and Gatlinburg, TN. 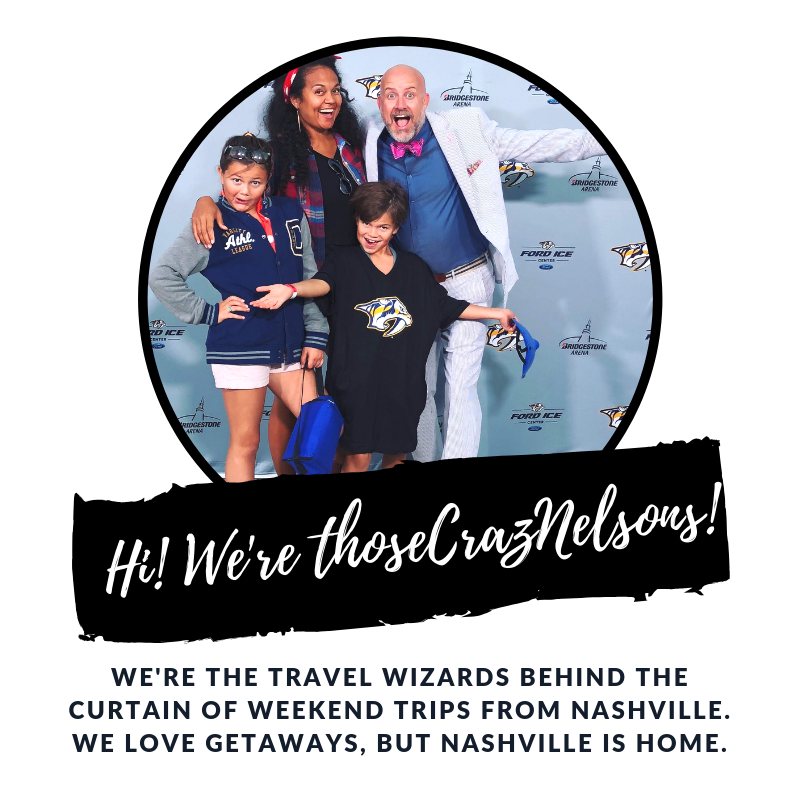 It was the quickest little trip that we've ever taken, but it was a good reminder to us (and we're sharing this tip with you) that even though you may not be able to afford a long vacation away, don't shy away from taking a day or two in a nearby city. It's a quick way to see some sites, spend time with family, and get recharged. We'd all love 7 days and nights away in a far away tropical destination, but when that isn't in the budget this month (maybe next month, right? ), aim a little nearer to home. Venture out for two days. And yes, it is possible to do it with kids! We Did The Research For You! There are an unfathomable amount of attractions to choose from when you visit the Pigeon Forge area alone, not to mention nearby Gatlinburg. Not all of it is great. Not all of it is worth the money you pay or the time you spend. And because of that, we thought we'd help you narrow down the list. We tried out some of these activities just for you. Here are our suggestions for your next visit. Pin this image to your travel ideas board! When You Need to Escape the Outdoors! From the outside, this place looks like a real castle. You can't miss it. We usually shy away from big attractions like this, simply because many of them are duds, with activities that aren't always worth the price of admission. This one was worth every penny! Four attractions in one, MagiQuest includes 1) Pirate Golf, blacklight miniature golf 2) Odyssey, the world's largest mirror maze 3) The Vault, a lazer maze challenge (imagine Mission Impossible and crawling through the red laser beams to get a treasure) and 4) MagiQuest, a live action game of magic and scavenger hunting all rolled into one. This place had the best mirror maze I've ever seen in my life!!! We had so much fun trying to find our way out. Not an understatement...go to MagiQuest, if only for the mirror maze. 1) This place is great for indoor activities during the middle of a hot summer day, a rainy day, or blustery winter day. Basically a nice reprieve from the weather, when it's misbehaving. 2) Give yourself some time to complete the MagiQuest adventure. You have to figure out clues and solve mysteries, it's not something you can do in less than an hour. 3) Buying tickets online prior to your visit is the best way to save money. Imagine Riding In A Giant Ball Down That Hill! I have to say that our family really wanted to do this the weekend we were there. However, the park's automated ramp that took the balls up the hill after each ride was out of order, so staff were manually taking the giant balls up with trucks. This impacted the wait time tremendously. We attempted the adventure twice that weekend. But the line was so long each time that we had to leave, in order to fit other planned activities into our busy day. Hop into a giant hamster ball with a few of your closest friends and family and roll down a long hill. The ball is filled with water, so plan on getting wet! The ride down is pretty quick. But, the thrill of it was worth it, at least that's what everyone would say after emerging from the enormous, slippery ball. TripAdvisor reviews are stellar! And it's a family experience, since multiple people can roll down the hill in one ball together. 1) Leave your GoPro at home for this one, each ball has a built in GoPro and the video is available for purchase after your ride! 2) Call ahead to check on the wait time before heading over. They don't take reservations; it's first come, first served. 3) Bring a swimsuit and a towel. Lumberjacks. Really? And a dinner show? Come on. Can't we just eat at a nice restaurant and go back to the hotel and get some rest? That was really the sequence of thoughts that went through my mind as we booked tickets to the Lumberjack Feud Dinner Show. I just wondered how much fun could it really be? And was it worth the price of admission? Cheering For The Red Team! Upon entering the arena the crowd is divided up into two opposing families. You'll spend the whole night cheering louder than the other side of the arena for the lumberjacks on your team. The lumberjack competition is real, so it's very much like watching gladiators in plaid shirts. Entertaining for kids and adults, I have to say this was one of the highlights of our weekend. 1) Although you can purchase show tickets with or without dinner, we recommend buying a ticket that includes dinner. The meal, though simple, made the experience intriguing for us. 2) Dinner is served course by course. Be ready to graze all show long! 3) If you eat dinner, bring cash to tip your server. Since there is no bill after dinner, you cannot leave a tip using a credit card. 4) Look for coupons online before purchasing your ticket. 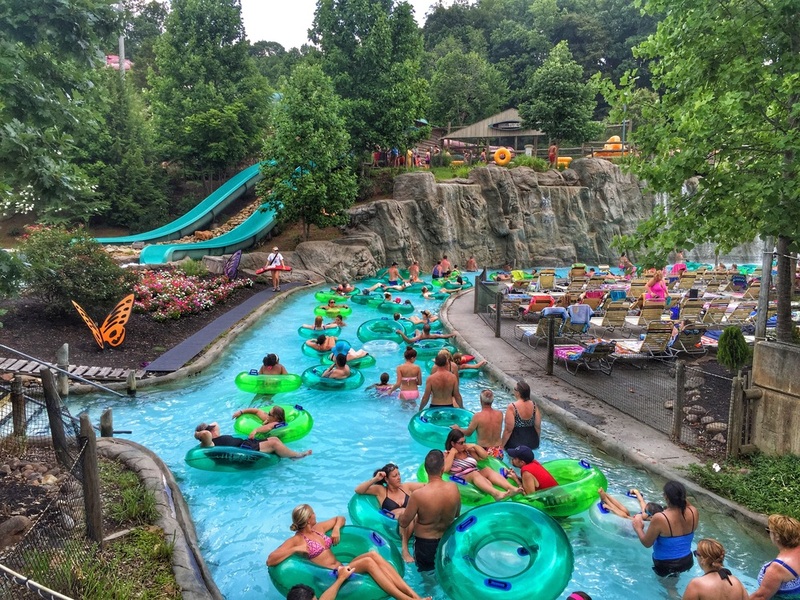 Meet Dollywood's water park, y'all. With a variety of slides and swimming areas, this park has something for all ages in your family. It has everything you'd expect from a traditional water park: a baby wading area, a kid zone, a wave pool and a lazy river (which I could never say the whole day, instead mistakenly calling it the lazy Suzan), family water slides, and horrifyingly, thrilling slides that make grown men beg for their mamas. The things that made it stand out were the park's cleanliness, accessibility to lockers, and the availability of retreat and canopy rentals. 1) Save money; pack a cooler of food and leave it in your car until lunch time. There is a grassy area out front with tables designed specifically for families who prefer to do that. 2) Check the forecast before heading to the park; it closes during inclement weather. During our visit, they closed the park due to lightning. 3) Rent a retreat or a canopy in advance and you can bring the entire family: the newborn, grandma and grandpa, and the uncle who hates swimming. They'll love Dollywood's Splash Country from their covered hideaway with satellite TV, ceiling fan, and lounge chairs. Book ahead of time, prior to your visit. TripAdvisor's 2014 Certificate of Excellence Winner, this was the one other attraction (besides the Outdoor Gravity Park) that our family did not get to fit into our busy two day getaway. Reviews for this activity are outstanding! The options for rafting are divided nicely between action-packed whitewater (ages 8+), scenic family float, or a duckie section with smaller rapids for families with littles (ages 3+). Rafting is not all that is offered by this company. Horseback riding, zip lining, and ropes courses are extra activities that can be added on to whitewater rafting for an additional cost. Open March through Thanksgiving weekend, Rafting In the Smokies is a great spring, summer or fall family adventure! 1) Ask for military/veteran discounts. 2) Coupons are readily available in brochures around town, as well as online. 3) Bring a change of clothes; changing facilities and hot showers are available. Pigeon Forge has treasures of fun waiting for you, more than just five family-friendly activities. Maybe next time we go, we'll be able to investigate other options for you. In the meantime, we hope we have given you a good starting point for planning your next trip! With these five family activities, you can't go wrong! Pigeon Forge: Family-friendly activities that are worth the money!